There is no one in this world who has never asked for the help of tow truck services. It can be anything from a flat tire to a missing spare, or you have a gas tank that is empty. The tow trucks have always helped us all in a way or the other an also helped us transporting our vehicle to the repair shop. But there is more to these towing companies than it meets the eye as there are many people who do not know that these towing companies provide much more services than just lifting the car when it is disabled to start or move. There are several other types of help which these towing services can provide which many of us are unaware of. There are many towing services Renton WA who provide more than just the towing services. In addition to the towing services, some of the companies can also provide complete road assistance services. There are also some of the companies which are going to provide you with 24-hour services so that in case you are stranded somewhere on the road with your vehicle and there is no one to help you. You can call these towing companies anytime, and they are going to reach you in twenty to thirty minutes. They would be happy to help if you are in need of their services. From changing the flat tire of your vehicle to jump-starting it whenever the battery is down, these companies are even going to provide you with the services when you don’t need the tow truck service. They can help you figure you out what is the problem in your car and help you with it. It is going to reduce your anxiety and stress that you can have in these unexpected breakdowns. They can easily fix the problems like a flat tire, dead batteries, lockouts and if the gas tank gets empty. These flatbeds are also used for hauling other heavy loads and stuff other than transporting the damaged vehicles that you may not know of. 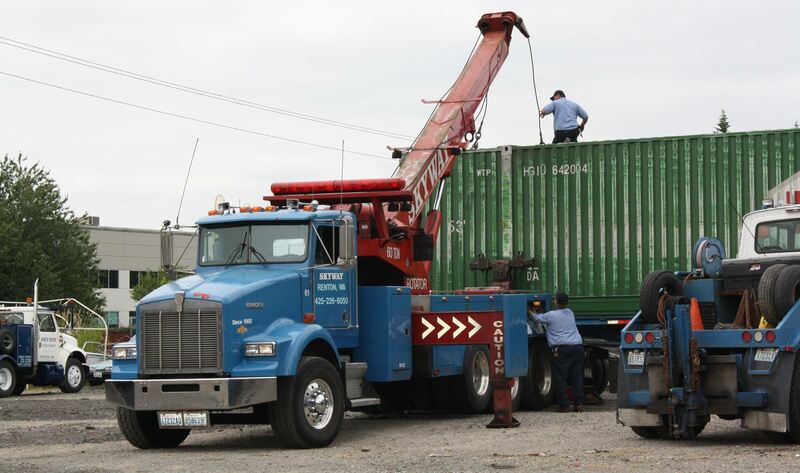 There are many towing companies who also provide many flatbed services for medium sized containers, industrial equipment and much more loads which can be transported easily on a flatbed. These towing companies are the answer to the loads which are very heavy to move. If you are also looking for the best towing services kent WA and cannot find any experienced company, then you can contact Skyway Towing and Recovery, which is a one-stop solution for all your vehicle-related problems. Call them, and they will reach you as early as possible within twenty to thirty minutes.